Gmail works on any computer or mobile device with a data connection, and offline support lets you keep working even when you’re disconnected. Gmail is designed to make you more productive. 25GB of storage means you never have to delete anything, powerful search lets you find everything, and labels and filters help you stay organized. Calendar sharing makes it easy to find time with your colleagues and the smart scheduling feature suggests meeting times that work for everyone. You can create an event calendar and embed it on your website or set up appointment slots for employees to choose the best time for them. Create documents, spreadsheets, and presentations with Google Docs, or upload existing work to view, share, and edit online. Docs are stored on the Web, so sharing them is as easy as sending a link. You can make your documents as public or as private as you like, and control who can view, comment on, and edit each document at any time. Given the fast pace of today’s government missions, it’s more important than ever for employees to easily find and access the critical information they need. Oftentimes, large amounts of data are stored in hard-to-access, decentralized systems with different legacy architectures, search engines, and security restrictions.The Google Search Appliance (GSA) is an easy to install, customizable, high quality search system based on Google search technology – the most used and most trusted in the world. Users can have high confidence in receiving fast, relevant search results to their queries and relieve concerns that searches are not finding the right data. GSA can also seamlessly incorporate additional data sources like Microsoft SharePoint® into search results from any platform or device. All sources are automatically scaled, crawled and tagged 24/7, so searches are more relevant. Google Maps API is a collection of APIs that enable you to overlay your own data on a customized Google Map. You can create engaging web and mobile applications with Google’s powerful mapping platform including satellite imagery, street view, elevation profiles, driving directions, styled maps, and demographics that help your agency meet mission objectives, improve efficiency, and reduce costs. As the most widely used online mapping service in the world, with more than 800,000 sites using the Google Maps API and over 250 million users on mobile devices alone, you can provide this same familiar experience to your own users. The Google Maps API includes access to 45 degree imagery in over 120 cities worldwide, so users can explore your data with a unique perspective within a particular area. With this product, you can build location based applications accessible via a web browser, mobile devices, or custom applications. 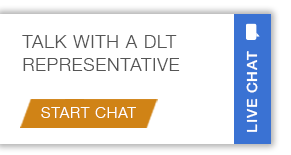 For more information, call 1-877-385-3581 or email google@dlt.com.